The next step to advance you along in your Reiki journey. You will receive the additional attunements to increase your transmitting power. Learn how to access additional power in your treatments, use Reiki to transform emotional, habitual and attitudinal situations, and send Reiki from a distance. Are you ready to ramp up your Reiki? If you’ve been practicing Reiki Level 2 for at least 6 months and you’re looking for a deeper connection to this multi-dimensional healing energy, this Reiki Master Practitioner class is for you! To qualify to take this class a student must have taken Reiki 1 & 2 and practiced Reiki Level 2 for at least 6 months. Also, a student must be able to draw the Reiki Level 2 symbols from memory. In this 2 day certification class, students will learn Advanced Reiki Techniques and receive an attunement to the level. The training is intensive and very thorough. It includes lecture, discussion, demonstration and adequate practice time. Those entering the second-degree Reiki program have done much work with the tools and information taught in the first-degree Reiki course, feel a commitment toward using those tools in caring service to other people, have attended. The first technique involves an increase of transmitting power during the Reiki treatment process. The second technique teaches you how to use Reiki to help with mental and emotional situations and addictions. The third technique teaches you how to utilize Reiki for absent healing (i.e. helping others healing from a distance). Receive another series of meditative attunements, which open you to the additional energy needed for second-degree. In the Reiki second you were introduced to the extensions of Reiki and practiced techniques for more power, mental treatments, and distance healing. The Advanced Second Degree Program introduces you to more advanced techniques and serves as the bridge between our Reiki Second Degree Program and our Reiki Master Program. It is considered to be the introduction to our Reiki Master Program. Using advanced absent treatment techniques, you will learn to send healing energy to past events in order to provide you with additional energy and protection. You will learn “stacking,” i.e., how to administer Reiki absent treatments to entire groups (of any size) in only one session. You will learn how to bring more abundance to your life as well as how to fulfill your destiny. You will learn how to manifest your personal goals through Reiki. You will learn a technique to repair breaks or holes in the astral matrix. This powerful technique accelerates the healing process for many different conditions. You will learn to utilize the Linking Awareness technique in order to promote better communication between the mind and body. Sometimes the problem may not be with a particular gland or organ. The problem may be due to lack of communication within the body. This technique restores this communication and alleviates pain, inflammation, and swelling … bringing about calmness and a deep sense of well-being. You will receive two more meditative attunements. Do you want a better handle on how to make Reiki applicable to your own personal healing? Do you know how to effectively apply Reiki for your emotional issues, your habits, your goals, etc. What about with regards to Reiki and your personal, spiritual connection? Building upon that foundation will be exploration into the multidimensional and metaphysical aspects of the Reiki symbols. Along the way you’ll learn specific instructions for applying Reiki to your own issues – and how to get tangible results. Then during the month we’ll practice what we learned, and share how it went, learning, and growing in Reiki and in relationship with each other in the process. This will be a valuable class in self healing, self discovery and personal growth. 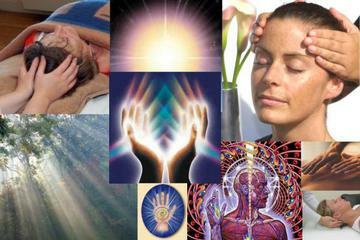 You will see your effectiveness with, and satisfaction in doing Reiki increase. You will become more proficient, having actually experienced what you are trying to help your recipients receive, and better able to assist your personal, and/or your clients’ process. Makes sense, right? Plus the additional healing will make you that much clearer of a channel, as well as more self-reliant and effective in your own self-care. Your committed, consistent participation during and between classes will be a necessary element in accomplishing the intention to deepen your Reiki healing experience. * In-depth exploration of each Symbol, including being re-attuned to each symbol, deepening your depth of understanding and experience with each symbol. The purpose of a laying on of stones is to release etheric, emotional, mental or spiritual blocks to well-being. The healer’s role is to be comforting, supportive and non-judgmental, giving the client safety to release these emotions and talk. This is part of the healing process. 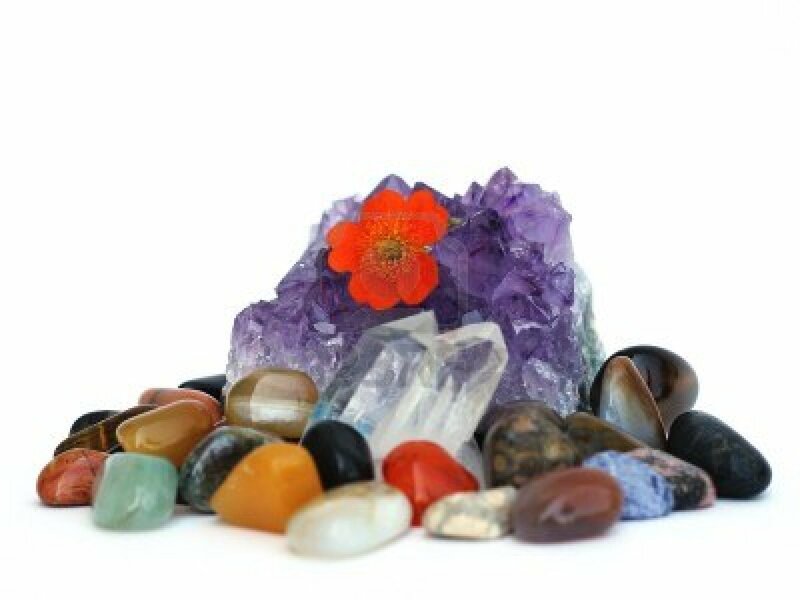 If the stone does not feels uncomfortable during the Reiki healing with crystals it should be moved or removed. A stone that feels good when first placed on the body can change when its energy has been absorbed. 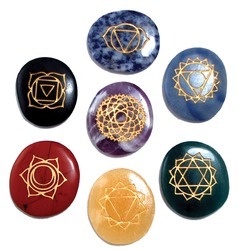 One of the simplest ways to help balance the whole chakra system is to place a stone of the appropriate color on each area. This will give each chakra a boost of its own vibration without altering its energies or the overall harmony of the system. Place the stones on the lowest chakra first, and move upwards than proceed with your Reiki healing session as you would normal do. When removing the stones, always remove the highest one first, leaving the lowest stone last. 2. For the sacral chakra choose an orange stone to put on the lower abdomen. 3. At the solar plexus use a yellow stone placed between the navel and the rib cage. If there is tension in this area an energy—shifting stone, like a tiger’s eye or a small clear quartz point, can be put at the diaphragm to help release. 4. The heart chakra in the center of the chest can be balanced with a green stone. A pink stone can be added for emotional clearing. 5. For the throat chakra use a light blu stone. Place it at the base of the throat, at the top of the breastbone. 6. An indigo blu stone is normally used to balance the brow chakra in the center of the forehead. Amethyst or another purple stone can be used here. then here’s a rare opportunity to learn from one of the best. Your instructor, Zaki De Luca, is a Reiki Grand-Master with over 26 years experience. She holds 9 Reiki Master-Teacher degrees in five different kinds of Reiki. She has taught Reiki to hundreds of people around the world, empowering many to heal themselves & others. Level II Advanced is two full days of total Reiki immersion. 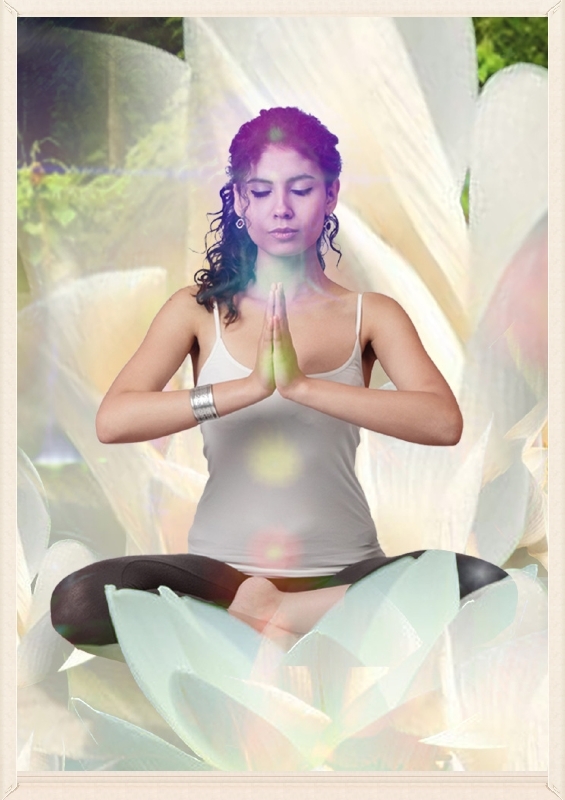 Here, you will sharpen your skills and take your ability with Reiki to a whole new level. You will receive three attunements from Zaki herself to open your etheric channels so the energy can flow more freely through you. You will be given two very powerful symbols to work with and expert advice on how and when to use them; one for Power, one for the Mind, and one for Healing. In Reiki I, you learned primarily how to heal yourself. Now, you will learn how to heal others. Zaki will not only teach you how to heal others but she will also share with you her many personal experiences over the years in the art of healing others; what works, what doesn’t and why. You will also learn how to do distance healing, where the limitations of time and space no longer apply. Here you will be able to send healing energy to anyone, anytime, and anyplace. You will also learn how to use this energy not only for healing, but for energizing objects, attracting what you want, improving relationships, changing situations, protection, and how to clear a home or office of negative energies. As an added bonus, you will also learn how to use crystals, color, light, sound and pyramids to enhance the energy and the healing experience. You will also learn how to raise your vibration through a variety of techniques, you will learn about the value of meditation & inner work, and how to connect with your Higher Self so you can receive clear guidance. Is a deeper exploration of healing techniques, and the first two Reiki symbols and their mantras are given during to the participant . To see Zaki’s Master-Teacher certificates, click here (http://www.meetup.com/Osho-Meditation-Center-California/pages/Zaki%27s_Reiki_Master-Teacher_Certificates/). One such course, called The Mystic Rose, is perhaps one of the most difficult offered at the Multiversity. It involves 21 days of continuous work: 7 days of laughing, 7 days of crying, & 7 days of silence. Zaki has done this particular course 18 times! For a complete list of all the courses & inner work she has done, click here (http://www.meetup.com/Osho-Meditation-Center-California/pages/Zaki%27s_Additional_Training/). Zaki will use Vogel crystal healing wands are a unique cut of quartz originally developed by Marcel Vogel. These amazing tools are precisely faceted and cut with the exact interior angel of the Great Pyramid. The large/receptive end of the wand is cut to 51 degrees, 51 minutes, and 51 seconds. This receptive end draws in Reiki energy from the practitioner and it spirals down the length of the crystal. Reiki is amplified each time it bounces off of a facet. The more facets the healing wand has, the more it intensifies the flow of the energy. The amplified Reiki reaches the smaller, transmitting end which focuses the energy where it coalesces like a laser beam of light. An antibody is a protein that is secreted by the white blood cells into the bloodstream to recognize and neutralize the negative intruders. They are like a soldier that captures and then directs the enemy to a macrophage for destruction. If the process of meditation or deep relaxation has the power to boost antibody production, as the study may imply, then the vast benefits of using. In addition, Laser Crystals and the Aura Soma Light Pen are used to open specific points. The Aura Soma Light Pen is a sophisticated and expensive tool that requires extensive training in order to use it properly. Its effects are similar to acupuncture but without the needles. The results of this instrument are thoroughly documented and are quite profound.After the attunements, you will spend some time inside a custom-made pyramid that will allow you to properly absorb, ground, and integrate the energies before moving on to the actual instructions. This pyramid is built with precision and to the exact proportions as the Great Pyramid at Giza and has a custom-made solid quartz capstone. You won’t find anything like it anywhere else. At the conclusion of the second day, we will have a beautiful ceremony that will touch your heart as we award you your Reiki II certificate. And last but not least, the Initiation will take place in a very special place, in a room that is used for large group meditations. Over the years, many meditations have been done here, creating what’s known as a “Buddha-field”. Just being in this field enhances the experience. The location is also aesthetically beautiful; we are situated on a private 34 acre lake. Second Degree Reiki is a more intensive course and qualifies the participant to become a practitioner if desired. Many people progress to Second Degree Reiki simply for personal development purposes without any intention of practicing on the public. However the will to share the gift of Reiki is usually very strong and calls many people to practice. This is about simply nourishing our bodies for feeling our absolute best! We will discuss what cleansing means and the hows, whens, and whys it’s supportive to overall health. Cleanse, is an experiential journey into self-nourishment that will give you tools and practices for a life-time of well-being. Engage in a deeply nourishing physical and emotional cleanse as you come home to your inner wisdom, and embody the joy and delight that renewed growth and energy bring you. Enhance your body’s natural detoxification system; strengthening your immunity while calming your nerves. The group provides a safe container of wisdom, and experience that supports a successful cleansing process. Restorative naturally warms the body while gently eliminating toxins. Clear out the stagnation of winter with food and yoga to revitalize your body’s natural rhythm. Rejuvenate your being and blossom into spring with renewed energy and enthusiasm. The benefits of cleansing and meditation have been documented for thousands of years. Feel like a new you!! Increase your glow through conscious cleansing! Anando has been a seeker of Truth for over 35 years and has studied & practiced many different approaches to personal & spiritual growth. As Co-founder of the Osho Meditation Center & Multiversity of California, his vision is to create the space where others can come to learn, grow, meditate, and to just be together with other souls of like mind. He is currently pursuing his PhD degree in Metaphysics from the University of Metaphysical Sciences. He is also a certified Reiki Level II practitioner and a certified Laughter Yoga Leader. His passion is teaching. He has delivered numerous speeches, lectures, and workshops around California and has been a featured guest speaker at the annual Conscious Life Expo in Los Angeles and several of the Holistic Living Expos throughout California. Topics include: health, nutrition, inner work, personal & spiritual growth, pyramids, crystals, energy healing, 2012, raising your vibration, and of course, ceremonies. He believes we can change the world when we work on ourselves and then work together, focusing our energies as one. If you would like to take this course but cannot join this class, please contact me and let me know your availability. Lunch is provided, interview required before taking the class.